Manage your uploaded files. 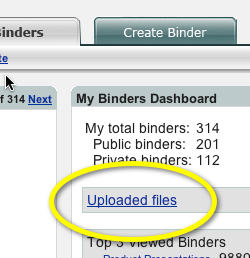 Click on the “My Binders” tab then select “Uploaded Files.” After making that selection users will select the specific files to remove if no longer in use. 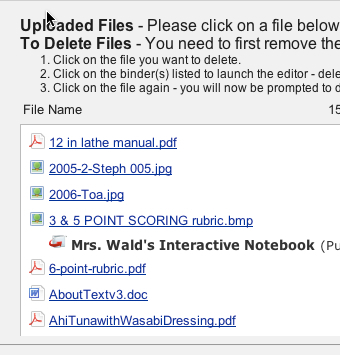 View the “Credits” of sites added to the LiveBinder. This option is located just below the title on the left hand side and to the right of the binder date. Finally, I would like to applaud Tina and Barbara for their efforts in developing LiveBinders. Their efforts have been recognized by the AASL. 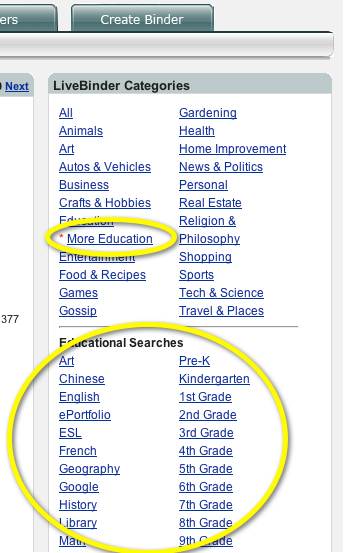 They have received the AASL 2010 “Best Website for Teaching and Learning”.